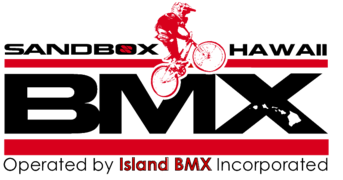 All riders must sign in at the office before entering either the big track or the pump track! All riders must wear a helmet(full face or half shell), long sleeve shirt(or short sleeve with elbow pads), long pants(or shorts with knee/shin pads), and covered toe shoes. Bikes must have these items removed before entering the track: Kick stand, pegs/extended axles, chain guard, reflectors, mirrors, baskets, racks. No motors/engines! Bikes must have working brakes! Please make sure handlebar ends(outside end of the hand grips) have a plug or cap! No going backwards on the track!